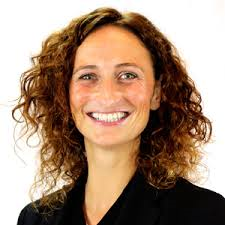 Dublin MEP Lynn Boylan calls on fellow Irish MEPs to vote against GMO report. Lynn Boylan, MEP, Sinn Fein. Dublin MEP Lynn Boylan has today called on her fellow Irish MEPs to reject next Tuesday’s vote on GMOs. The legislation was drafted to break the deadlock between pro and anti GM countries and to create a mechanism that would legally allow countries to opt out of cultivating GM crops. In November the EU Environment committee produced a very strong proposal. The EU Parliament’s position removed the controversial ‘Phase 1’ proposal put forward by the EU Council, where Ireland is represented by the Government. This Phase 1 system obliged democratically elected governments to seek permission from a biotech company to be removed from the scope of their authorisation application. The Parliament’s position also broadened the scope of the grounds a country could use to justify their wish to opt out to include environmental and socio-economic reasons. “When the EU Council and the Parliament concluded their negotiations before Christmas, the final text was drastically diluted and in my opinion leaves legal loopholes available for biotech companies to exploit to take countries to court. Protest at Mayo County Council Offices on Monday. Council meeting with Irish Water representatives. 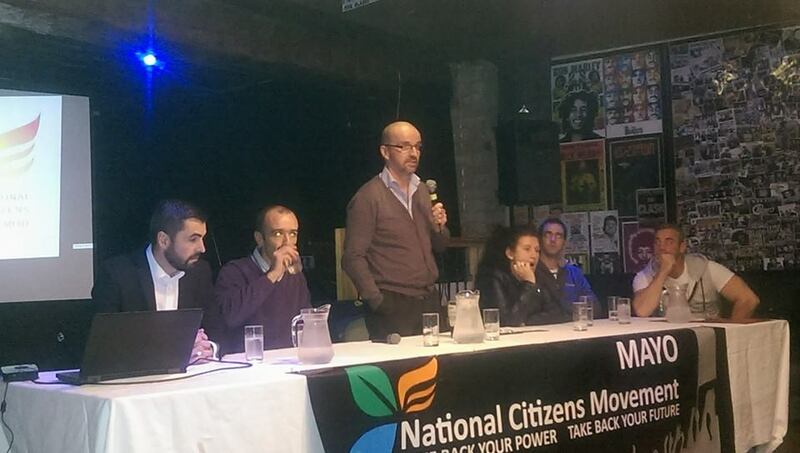 The National Citizens Movement is organising a day-long protest at the offices of Mayo County Council on Monday with the aim of holding the county’s local local public representatives to account, the Mayo branch of the organisation has said. Outlining the proposed action, the organisation said in a statement members now intend to start scrutinizing councilor’s representation of local interests in the council chambers in Mayo. Monday’s protest is being held to coincide with the expected attendance of representatives of Irish Water at the council’s regular monthly meeting. Calling for a strong presence of people and their families at the demonstration, the Movement said that, as always, “the protest is set to be a peaceful one. “We want our Councillors to show solidarity with the other county councils around the country that have already discussed and passed similar motions. 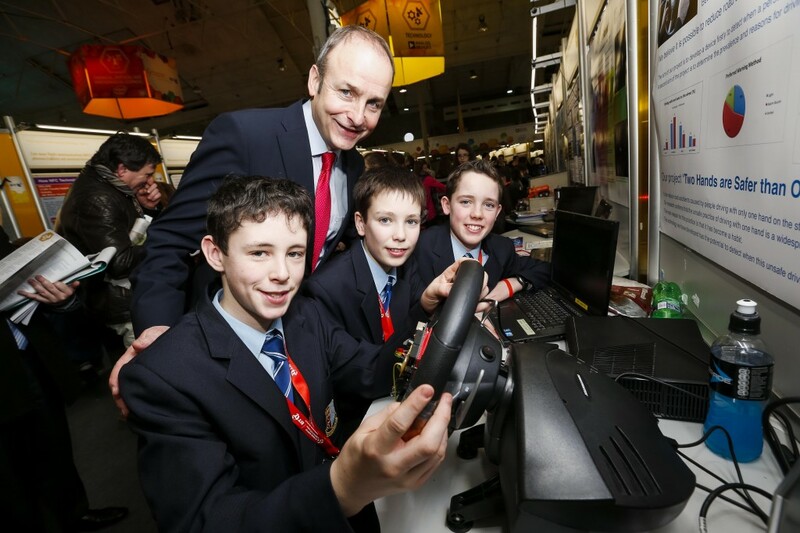 Fianna Fail Leader, Michael Martin meets Sligo ‘young scientists’ at RDS. Fianna Fail Leader Michael Martin pictured with Sean Casey, Michael Gilmartin, and Michael Kerins from Summerhill College, Sligo, with their project titled ‘To adapt a car steering wheel that senses driver distraction, alerts the driver, and thus reduces accidents and fatalities’ at the BT Young Scients Exhibition at the RDS. Picture courtesy Conor McCabe Photography. Sinn Féin Dublin MEP Lynn Boylan has commented on the latest report from the Center for International Environmental Law (CIEL) illustrating how the EU-US trade deal threatens to lower standards of protection from toxic pesticides. “This report from CIEL outlines how pesticide regulations in the EU would be weakened under the proposed Trans-Atlantic Trade and Investment Partnership (TTIP) Agreement and its findings should alarm anyone worried about the toxic and harmful effect of pesticides on food production and on the environment. According to the report pesticide lobby groups both in Europe and the US are suggesting that, in order to increase trade, TTIP should adopt lower standards of protection from toxic pesticides, like the standards currently in place in the US. The problem is that this approach would lead to a reintroduction of these banned pesticides in the EU and would also permit the use of carcinogens, increase the amount of toxic pesticides allowed in food sold to consumers and would side track efforts to regulate endocrine (hormone) disrupting chemicals (EDCs). To emphasise the risk posed by acquiescing to the lobby group demands, the study includes a list of 82 toxic pesticides, which are banned in the EU but allowed for use in the US. €3 QA BONUS SHOWS CONTEMPT FOR FARMERS AND MINISTER – ICSA. ICSA beef chairman Edmond Phelan has said that proposals by the meat industry for a €3/head quality assured bonus demonstrate contempt not only for farmers but also for the Minister. “It is now obvious that the meat industry believes that it has no need for any sort of partnership approach, whether under the beef roundtable or any other mechanism,” he said. OPENING OF UNITED STATES BEEF MARKET MUST IMPROVE RETURNS TO FARMERS. 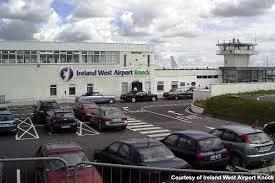 Sligo County Council reportedly in local authority deal to take over debt of Ireland West Airport. Councillors to consider multi-million euro investment plan for airport. Members of Sligo County Council are expected to consider a multi-million euro bailout of Ireland West airport early this year. Sligo is understood to be one of seven local authorities proposing to assume responsibility for debts of the airport, believed to be in the region of €9 million. The move was apparently discussed at a recent meeting of Mayo County Council where, according to the Mayo News, council CEO and chairperson of the airport trust, Peter Hynes informed members that the Mayo authority proposed to borrow €7.3 million to pay off “a large portion” of the €9 million debt in return for a 17.5% stake in the airport which other councils – Sligo, Donegal, Leitrim, Roscommon and Galway City and County Council – will then help Mayo to repay over a 30-year term in exchange for shares in its 17.5% stake. The remainder of the debt, €1.7 million, will be repaid by the Western Development Commission. Sligo’s contribution could be upwards of two million euro. It is thought that Sligo’s total contribution in the lifetime of the plan could be upwards of two million euro – perhaps more. A concern, however, is whether the council can afford to take on the responsibility. The authority itself already has long-term debt of €120 million, cumulative revenue debt of just under €20 million, and also has to make provision for a €10 million budget surplus in order to stabilise its finances over the next ten years. Additionally, it has to find millions of euro to meet the costs of legal proceedings following the High Court/ Supreme Court case taken against the council by owners of the Lissadell estate concerning rights of way through the estate. Many will find it hard to understand why responsibility for debts of the airport should be dropped on councils and by extension local families or communities who likely will ultimately be left to pick up the bill for the debts in the form of increased local council charges or service cutbacks. The airport, a private development, is owned by a statutory trust, and run on behalf of the trust by a private limited company, Connaught Airport Development Company. It has received €21 million in “direct subvention” state aid since 1993.
charged a development fee of €10 each, a practice in place for the last twenty years. Employee numbers in 2013 were 107, up five on 2012. Wages and salaries for 2013 were €4,061,998. Airport would need 1.5 million users to be viable. It has been stated that to make it viable the airport would require a throughput of 1.5 million users. Company accounts show that passenger numbers for 2013 were 665,400, 3% less than recorded in 2012. An Oireachtas record states that, in December 2012, Airport Managing Director, Joe Gilmore told the Oireachtas Committee on Transport and Communications that the airport was funded until 2014 “under the core operational programme” and that the company had a commitment from government to that effect. “However, after that, the Department has advised us that there will be limited, and possibly no, funding for regional airports. Depending on the economy and so forth, we will potentially be in a treacherous position. We are carrying €10 million of debt on our balance sheet as a result of infrastructure projects undertaken with the government over the past number of years. Airport Chairman, (now resigned) Liam Scollen spoke of government dismissal of plans for the growth of passenger numbers and jobs at Knock. The government package for Shannon is understood to include a decision to write off €100 million of its debt. 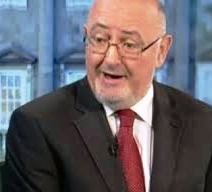 In an interview subsequently with the Mayo News in January 2013, Mr. Scollan reportedly said “…that it had now been decided that the state airports need to be protected, regardless of if that stifles the development of regional airports, or even closes them. 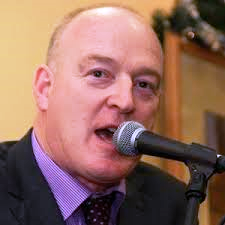 In a “special end of year report,” Sligo County Council Chief Executive, Ciaran Hayes has described the proposed local authority plan for the airport as “an innovative collaboration between the Northwest counties and Ireland West Airport (IWAK)…” It will be advanced subject to a Due Diligence report currently being compiled,” he said. 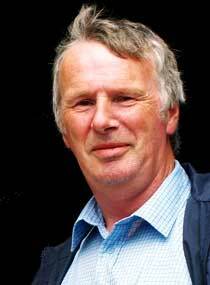 Peter Hynes, Trustee, Chairperson, John Dillon, Trustee, Fr. Richard Gibbons, Trustee, Martin Gillen, Trustee, Joseph Kennedy (UK), Trustee, Brian McEniff, Trustee and Archbishop Michael Neary, Trustee. Secretary: Brendan Flanagan. Patrick James Kennedy, Board Chairperson, Bowdon, Cheshire, England, Michael Neary, Tuam, Co. Galway, Brian McEniff, Hollyrood Hotel, Bundoran, Co. Donegal, Arthur French, Straffen, Co. Kildare, Joseph Paul Gilmore, Company Managing Director, Claremorris, Co, Mayo, Timothy Martin McDermott, Cheadle Hulme, Cheshire, England, Fergal James Broder, Sea Road, Sligo, Peter Hynes, Foxford, Co. Mayo, Martin Gillen, Deerpark East, Westport, Co. Mayo, Richard John Gibbons, The Presbytery, Knock, Co. Mayo, John Molloy, Gosforth, England, Patrick Gallagher, Breaghwy, Castlebar, Mayo and Brian O’Dwyer, Central Park West, New York, USA. Government policies have decimated Health Services – Ó Caoláin. Sinn Féin Health Spokesperson Deputy Caoimhghín Ó Caoláin has said that hospital overcrowding, A&E shutdowns and record numbers on trolleys show that “Fine Gael and Labour policies have decimated the Health Services”. Caoimghlin O’Caolain, TD, Sinn Fein. Deputy Ó Caoláin reacted strongly to the highly concerning figures released by the INMO (Irish Nurses and Midwives Organisation) that show that 563 patients are being cared for on trolleys across the country. “There are 50 patients waiting for admission at Our Lady of Lourdes Hospital in Drogheda, 39 in St Luke’s Hospital in Kilkenny and 33 in Mullingar. These record high numbers follow a period in which we traditionally see lower numbers in hospitals for elective procedures. This does not bode well for 2015. There can be no doubt but that Fine Gael and Labour policies have decimated the Health Services. “The measures announced in the Budget to ease pressure on A&Es have had little effect. I again call for additional funding for step down beds and extra nursing home places. The Health Minister needs to act now to ensure that these figures don’t increase further with the expected increased demand on our Health Services. “I have been contacted by families dependent on the Midlands Regional Hospital in Mullingar where for three days in a row the HSE have asked patients not to attend A&E. Today sees 23 patients on trolleys and 10 extra patients on wards that were already at capacity levels. Patients have been told to not attend unless they are an ‘absolute emergency’. I ask how patients are supposed to be able to diagnose themselves and determine if they are an ‘absolute emergency’. Issues of safety of care, privacy, and dignity for those on trolleys have been raised with me as well as claims of poor adherence to normal washing standards due to an acute shortage of staff. “The INMO has also called for the cancellation of all scheduled elective operations for two weeks. While this might grant a reprieve to the numbers on trolleys and to overstretched staff it will mean that those waiting for non-emergency but nonetheless essential surgery will have the date of their procedures pushed back. This will lead to a delay for those who, in many cases, have been waiting for months or years for procedures, many in pain and whose lives are in suspense. “There is now also the prospect of industrial action. If this is to occur it will be due to nursing staff being forced into this course. This is not about personal gain. It is because nurses working on the frontline know the dangers that low staff numbers cause. They know that people cannot be appropriately treated with reduced levels of staff, with thousands of beds closed and with increasing population and patient demands. The Minister for Health must act urgently to address this developing crisis” concluded Deputy Ó Caoláin.